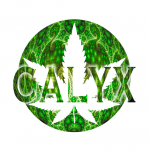 Calyx - Danish Stink. Free US delivery. Notwithstanding its charmless name, Danish Stink is a great, great plant that true believers will come to love. Danish Stink is the result of breeding Landrace Indian Kush with Chemdawg. The result is a plant whose scent has been described as “lemony,” “piney,” with “earthy” and “woody” undertones, which suggests healthy terpene content including limonene, pinene, and sleep-inducing myrcene. Most users report a well-balanced body high with an intense euphoria. Extremely high THC levels mean that new users should be careful - this is potent stuff. Danish Stink's robust cerebral effects do make it a popular choice for those seeking to relieve stress, PTSD, depression and other mood disorders. In addition this stinky Dane has been found to be useful for those coping with chronic pain. Mind disorders (stress, PTSD etc. ), chronic pain.